The contest is among several events that will celebrate the 11th annual festival in and around Milnesand in eastern New Mexico. The festival, limited to the first 100 registrants, still has spots available. More information is available on the Department website, www.wildlife.state.nm.us, or by contacting Tish McDaniel, (575) 762-6997 or pmcdaniel@tnc.org. 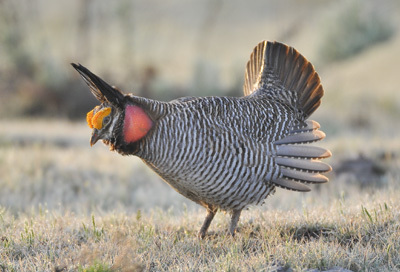 The deadline for original artwork submissions to the New Mexico Department of Game and Fish is March 1, 2012. The grand prize winning entry will be reproduced on the annual festival poster, and the artist will receive $300. Top winners in three age categories: adult, grades 7-12, and grades K-6, will receive $50. Prize money is courtesy of the Grasslans Charitable Foundation.